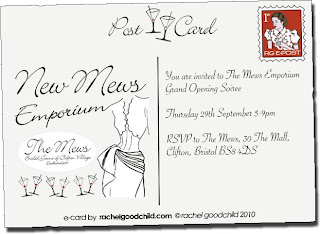 I recently designed a launch night E-Card for Gail, the owner of The Mews Bridal Boutique. The Mews has been open since 2007 in Clifton, but when a larger shop around the corner became available the New Mews Emporium began. The new boutique is in the beautiful Georgian setting of the Mall, in the heart of Clifton Village. The boutique, now covering two floors, stocks a selection of quality wedding gowns by designers such as Amanda Wakeley, Suzanne Neville, Jenny Peckham, Stephanie Allin and Temperley. 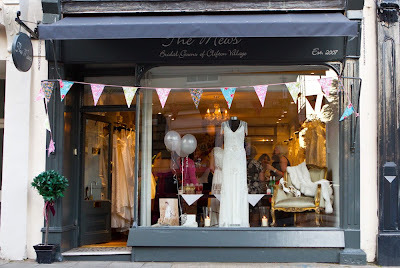 They also stock gorgeous bridal accessories, shoes and bridesmaid dresses. As Gail says, "With our fine attention for quality and detail along with expert knowledge, we can provide the service that we are renowned for. We believe that every dress worn by our brides should not only be head-turning and exquisite, but reflect our brides' very own unique individuality". 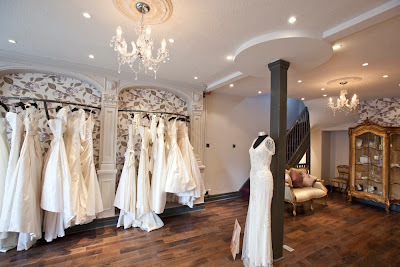 The boutique is simply stunning! The launch night was full and the atmosphere was warm and friendly. Every corner on each floor had lovely finishing touches, giving the whole feel as something very special. The main part of the shop has beautiful wedding gowns hanging along the walls, and shoes in antique glass cabinets. 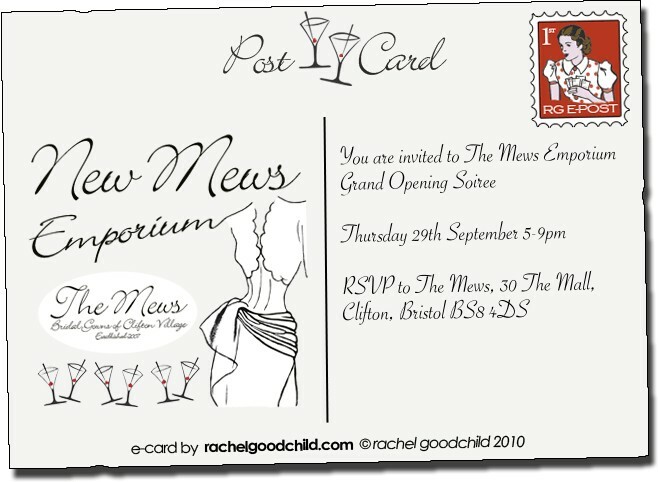 Michelle from My Wedding Workshop was overseeing the launch night for the Mews, and as always, was the perfect event planner. The music for the night was performed by Topaz, a flute and harp duo. Touches of old and new. Oh Rachel you really have captured the evening! Lovely post, thank you!